I’m worried about the squirrels of Central Park. I’m not worried about their physical safety. They seem both numerous and prosperous. Central Park is eight hundred acres, and there are thousands of the little buggers running around gathering plentiful supplies of food for the winter. I saw one this morning, and she seemed to be doing fine. No, I’m worried about them philosophically. Sure, it’s a large and presumably diverse squirrel population. It’s not like there’s five of them on a desert island and they’re all forced to marry their squirrel half-sisters just to perpetuate the species. But do they think they are the only squirrels in the universe? The park is an island of squirrel paradise (food, trees, few predators) in the middle of a vast sea of concrete. The surrounding human-constructed environment is so big in comparison to their homeland as to be, by squirrel standards, limitless. I doubt that any one of them has ever met a squirrel who wasn’t born there. If they did meet a bedraggled stranger who claimed to come from some other park, what would they think? They wouldn’t be able to believe him; it would go against all common squirrel sense. Their universe is all Central Park surrounded by a wasteland that they must regard with the same consternation as ancient Europeans once felt for the Encircling Ocean. Now, you might say, there are other trees in New York City. From Central Park, a squirrel might see a line of scrawny trees stretching off into the distance along some street. True. But what does this mean to them? Filled with a sudden restless yearning, a young squirrel must sit on a tree limb for a few moments on a sunny afternoon and gaze at that tree archipelago, wondering. Did any inspired squirrel explorer ever venture forth, leading a small party of pilgrims to follow the trees in search of new lands? If one did, was she ever heard from again? 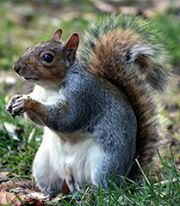 If some intrepid squirrel philosopher were to propose the existence not only of other parks (full of other squirrels), but of unimaginably vast parks called forests, filled with wonders and dangers and millions of squirrels wholly unknown, would the Central Park squirrels hail him as a visionary? Would they lock him in a squirrel madhouse and give him squirrel sedatives? Or would they fearfully condemn him to burn at the tiny squirrel stake? This entry was posted in city life, musings and tagged new york city, random thoughts, wildlife on February 3, 2015 by cate.burlington. You could argue this one with me and say that the two main characters of Pacific Rim, Raleigh Beckett and Mako Mori, are in fact in a romantic relationship. But you would be wrong, very very wrong. Raleigh and Mako have a romantic friendship, which is a very different and very awesome thing that we need more of in movies. (Although I do think the film sets up a strong possibility of future romance between the characters.) 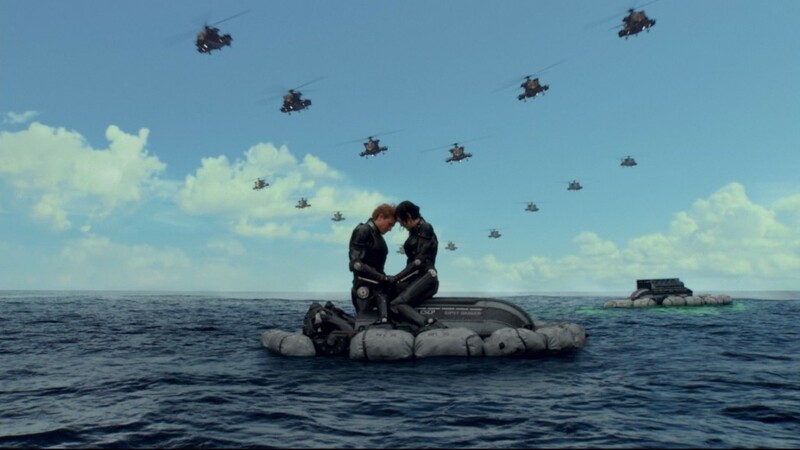 In the triumphant ending scene of the movie, when Mako and Raleigh share a moment of relief and joy, they embrace and lean their foreheads against each other. This is the moment where I started mentally chanting don’t kiss, don’t kiss, don’t kiss. And they don’t!! Although they’re one of the strongest relationships in the movie, and have been explicitly shown to be, well, soul mates (“drift compatible” is a wonderful term), they do not kiss. No making out occurs whatsoever. In conclusion, if you want a movie all about the awesome permutations, other than romance, of human relationships, that also has giant robots punching giant monsters in the face, I have good news for you my friend. This entry was posted in movies and tagged aromanticism, movies, pacific rim on February 2, 2015 by cate.burlington. 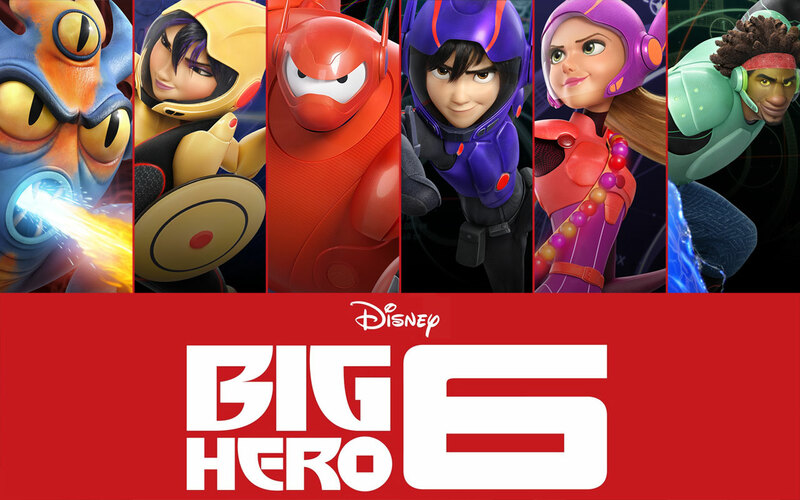 Big Hero 6, in addition to being an adorable and touching animated super-hero action feature, is probably the least romantic movie I’ve ever seen. If an alien species were to get their hands on this movie as their sole artifact of human culture, they wouldn’t even know romance existed, that’s how un-romantic it is. Which is awesome! The main character is 14-year-old Hiro, who would usually be a prime candidate for a shoe-horned romantic sub-plot. But not only did they avoid that, none of the side characters were dating each other or had a crush on each other. Although family relationships and friendship are important themes, not one character’s motivation was based on romance. The plot of the movie involves brilliant but unmotivated robotics genius Hiro, who finds unexpected kinship with a team of rag-tag misfit roboticists. Our team then has to overcome their differences and find faith in themselves in order to save the city. 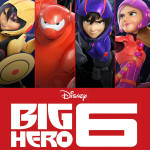 Awesome action and rollicking cartoon adventure then follows, and, I cannot emphasize this enough, at no point does anyone fall in love with anyone else. This entry was posted in movies and tagged aromanticism, disney, movies on January 29, 2015 by cate.burlington.